Uppsala University, campus Gotland have been teaching game development since 2001. The GGC is an annual (very public!) evaluation of our work. International industry, academia and press are invited to help scrutinize our output, hone our process and celebrate our results. Students kick start the event with presentations of their projects; exposing themselves and the university to insightful critique from an experienced panel of industry personas. We then proceed with a two day conference; talks on a wide range of topics are interspersed with networking on the show floor, amongst the student’s games. See contact info in the bottom of this page. Wisby Strand is one of the most modern conference centers in Europe and is located next to Uppsala University, campus Gotland in the the medieval city ofVisby. 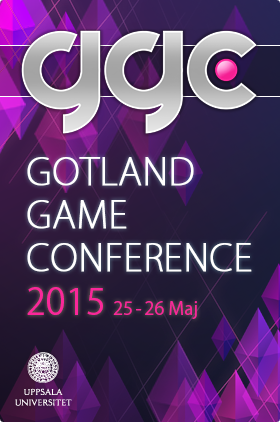 Gotland Game Conference 2015 is hosted by Uppsala University, campus Gotland. 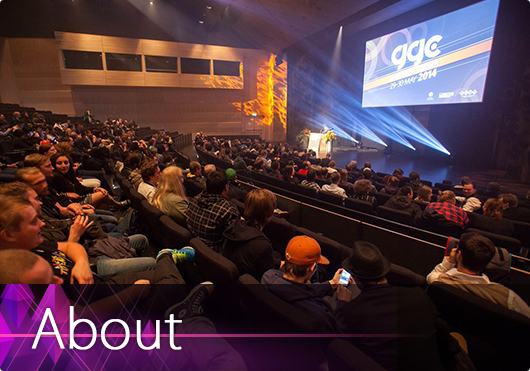 Event Producer is Håkan Mattsson at the department of Game Design. in Wisby Strand Congress & Event, Visby, Sweden. Previous conferences are available on our YouTube channel!